Manchester United manager Jose Mourinho insists he was with Alexis Sanchez's debut. Goals from Ander Herrera, Jesse Lingard, Marcus Rashford and Romelu Lukaku secure a win for the Premier League side over League Two side Yeovil Town at Huish Park. Alexis Sanchez got an assist in the game and he also won the Man of the Match after the game. Speaking after the game Jose Mourinho gave his report on the new signing. "He's a fantastic addition. Everyone is happy he comes - good players want to play with good players." "He's a fantastic player for us. The question is always where is he going to play? It's not about that for us, it's about our fantastic group of players." "He has a bit more maturity and experience. His choice for the counter-attack [United's second goal] is the kind of choice that Marcus [Rashford] is still too nervous to make. "He will bring us this extra maturity and class - we are really pleased with him. I knew it wasn't going to be easy for him but I'm happy with his performance." 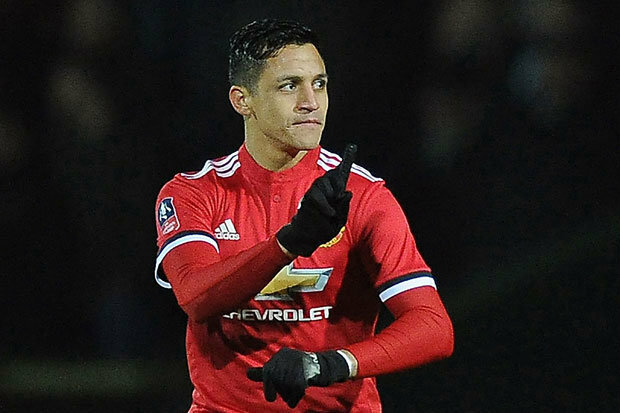 Do you think Alexis Sanchez is the missing link united have been missing?